Isaac: A Chance for Government to Rebuild Public Trust? Tropical Storm Isaac only lightly brushed by Florida, though the Republican National Convention convened and then recessed due to the completely understandable caution that Tampa could have been hit. The path of the storm (which may become a hurricane) is heading along the path that looks just like the Hurricane Katrina vector, straight for Louisiana and the Mississippi gulf coast. Isaac isn’t expected to be as strong as Katrina (much less Katrina combined with Wilma, which also took a huge toll, particularly in Louisiana’s rural areas), but it is slow moving and loaded with tons of rain. Flooding in the low-lying areas of the coast is a distinct possibility if the storm’s impact on Haiti over the weekend is any guide. 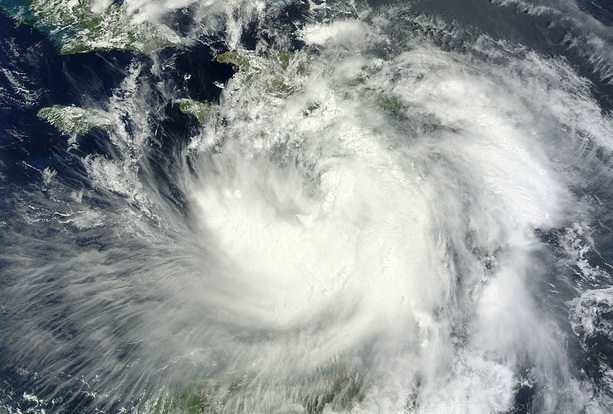 Nonprofits World Vision and Doctors without borders are reporting on the impact of the storm on Haiti. World Vision has noted the number of homes in Cite Soleil that lost their roofs or were flooded, and Doctors Without Borders is predicting an increase in cholera cases. None of us need reminding about the pathetic performance of federal and local government operations in the wake of Katrina. The governmental response was pathetic to the point that some of the international NGOs that have virtually replaced the Haitian government in the aftermath of the earthquake in 2010 were also among the most effective and organized operations on the ground in New Orleans after Katrina. The optimists that we are, we think that there have been lessons learned by nonprofits on the ground in the Gulf Coast, by some of the local and state government authorities in the area, and hopefully by the folks at FEMA on the federal level. We believe that the planning for the next natural disaster in the region has been conducted at many levels, involving the cooperation of nonprofits and government. If disaster response is needed, it should be nonprofits working with government, not taking the place of a dysfunctional public sector response. As the Washington Post notes, the impact of Katrina was devastating on Americans’ trust in government. The Post says that after 9/11, a Gallup survey indicated that 60 percent of the population felt that government could be trusted “to do what is right always or most of the time,” but a Pew poll after Katrina revealed that the proportion trusting government had dropped to 31 percent (and it’s now at 22 percent).